My little three-year-old came down with a bad cough last week out of the blue. He was fine when he went to bed, but woke up with a cough and runny nose. Ugh. He handled it like a trooper during the day, but come bedtime, his awful cough would not let him sleep! We’ve all been there ourselves, but it’s so much worse when it’s your little one! So, how do you help a child’s cough at night so they can get the rest they need? You’ve probably heard from your pediatrician that cough medicine is not recommended for young children. Even so, there are a few natural remedies for a child’s cough that can dramatically improve nighttime coughing, making it easier for your child to get some sleep. 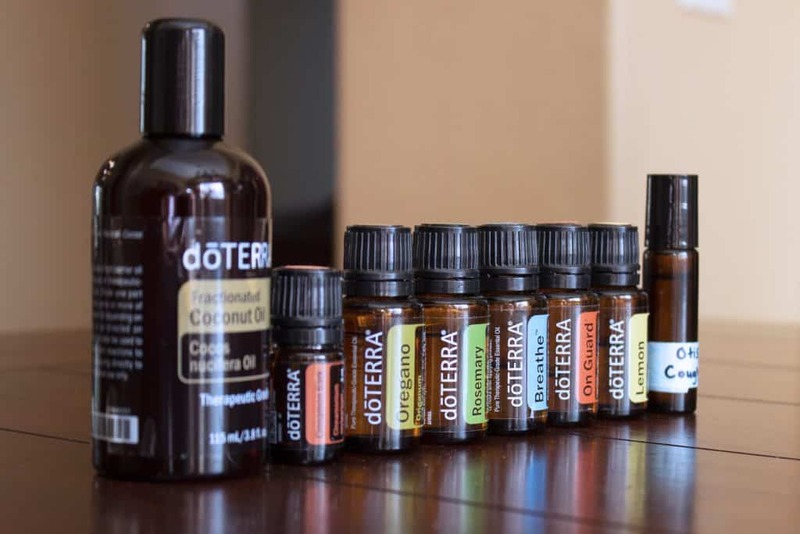 Anytime someone in our home is under the weather, I look to essential oils to help support their immunity and ease symptoms. Of course, if one of my children is sick for several days or extremely ill, I always have them checked out by our pediatrician. In our case last week, little O had no fever-just a terrible cough and a stuffy nose. 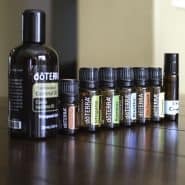 This essential oil blend for cough, combined with the other natural remedies listed below, really helped keep his coughing under control while he recovered. To make this recipe, you will need several oils and a 10 ml tinted glass rollerball. First, add the essential oils to your glass rollerball. Then, fill it the rest of the way with fractionated coconut oil, or another carrier oil if you prefer. Apply the blend to your child’s chest, back, and bottoms of feet, especially before bedtime, to help soothe coughing. 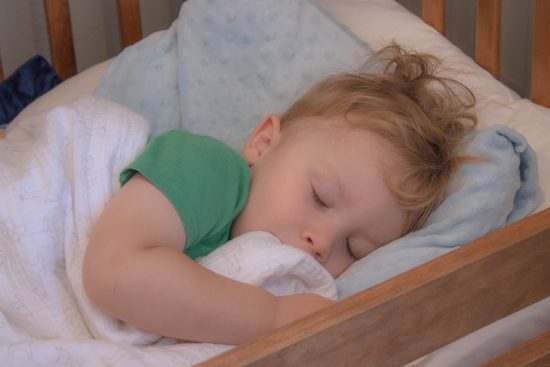 Use a humidifier in your child’s room while they sleep. Adding some moisture to the air in your child’s bedroom while they sleep can really help soothe a dry, scratchy throat that only makes coughing worse. Make sure your child is drinking plenty of water throughout the day. Staying hydrated is especially important when your little one is under the weather. It doesn’t take long for a child to get behind on fluid intake when they’re laying around not feeling good. Make sure to stay on top of it and keep a bottle of water nearby to encourage frequent sips. *ONLY if your child is older than 12 months* give your child a small spoonful of honey right before going to bed. Honey can be dangerous for babies younger than 1-year-old and should never be given to this age group. If your child is older than 1, a small spoonful of honey immediately before laying down to go to sleep can help coat the throat and prevent the sensation of needing to cough. Often, this will help quiet a cough long enough to allow a little cougher to fall asleep. Add the essential oils to your glass rollerball. Then, fill the bottle the rest of the way with fractionated coconut oil. Use the blend on your child's chest, back, and bottoms of feet, especially before bedtime, to help soothe coughing. 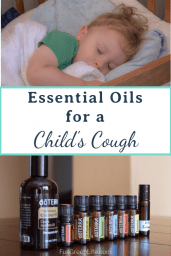 Natural cough remedies like these are powerful tools to use when your child has a bad cough and needs to be able to get some rest.